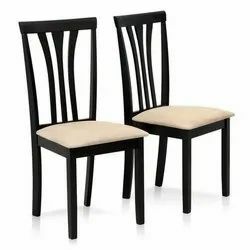 Prominent & Leading Manufacturer from Bengaluru, we offer restaurant designer chair, restaurant chair, wooden restaurant chair, wooden restaurant designer chair and restaurant wooden chair. Restaurant Designer Chair offer maximum comfort as well as finish quality to customers. Further, the exclusive design standards offered in the extensive range of restaurant designer chairs that are on offer also make these the most attractive finish choices made available in the market. The restaurant dining chair assortment is also made using quality base material including wood that makes these stand out in the provided setting. 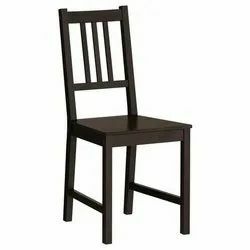 Restaurant Chair offered comprises a collection that is crafted from high-grade wood and other finish material and comes in intricately carved finish so as to impart an elegant finished look. As part of restaurant furniture, these are highly demanded in the market because of their contemporary designs as well as attractive finished looks. 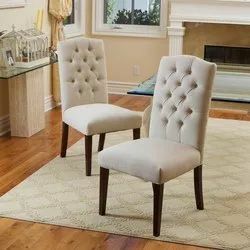 Further, the elegant and stylish finish provided by these chairs also makes these highly desirable chairs to enhance the look and feel f the restaurant setting. Restaurant Wooden Chair offered comprises the finest collection of wood based restaurant chairs in terms of design and finish. These wood based chairs are designed to perfectly gel in with the atmosphere and assist in creating a relaxing atmosphere. Further, these are also durable in finish and can be picked from a number of choices offered including choice of variety of wood stain colors, seating options as well as need of upgrades required. Looking for Restaurant Chairs ?